Indulge in the fusion of puzzle, lights and music! The latest installment to the blockbuster franchise from Tetsuya Mizuguchi and Q Entertainment comes packed with brand new skins and new modes, exclusive to the PS3. LUMINES Supernova combines puzzles, block-dropping beats and video entertainment to create an addictively-fun gameplay experience that will keep you playing day after day. The game offers 40 skins in the Challenge Mode alone, with several brand new skins keeping the Lumines experience fresh. Choose from several different single player modes, battle it out with a friend or create your own background music in the all-new Sequencer Mode. 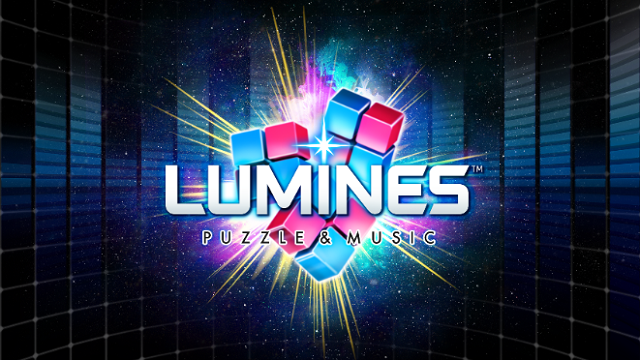 9/1/2016: Lumines: Puzzle & Music is now available for iOS and Android devices. 8/23/2016: Lumines will be playable at PAX West and will release for Android and iOS devices on September 1st.